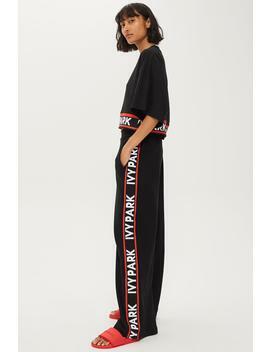 Tap into the athleisure trend the stylish way with these black flatknit wide joggers by Ivy Park. For a fashionable impact wear with matching top and red sliders. 100% Cotton. Machine wash.